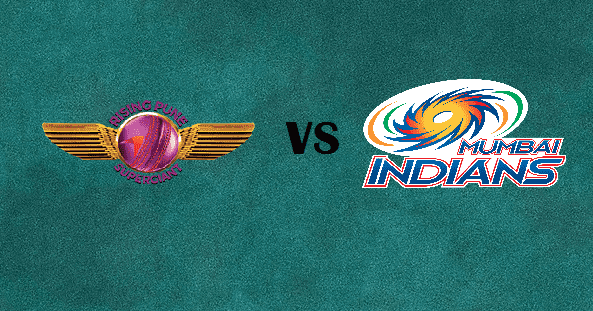 Final of the Indian Premier league (IPL) 2017 will be played between Rising Pune Superginat (RPS) and two times IPL champions Mumbai Indians (MI) on Sunday 21st May at Rajiv Gandhi International Cricket Stadium, Hyderabad. Temperature is forecasted to be below at the time of match but dew will play the important factor in the match and team will like to chase. High scoring game can be seen and with the batting line-up both team have runs are likely to rain. It is going to be an exciting thriller as top two sides (top two teams in the IPL 2017 points table) of cash rich IPL league, Rising Pune Supergiant and Mumbai Indians are eyeing to win Indian Premier League trophy. Rising Pune Supergiant had done well to reach the final. They had made final in their second and last season after ending their first season on seventh position. Start for the season had not well for them, losing three matches from first four but later done well came into by winning 9 games of the eleven and will like to finish the tournament as a champions. As RPS are 1st time in the final, may lack experience as a team but individual had experience ending on winning side. The experience of cool and calm MS Dhoni will help the team a lot as it is seen throughout tournament. The momentum with them, RPS would be determined to make the opportunity count by winning the coveted T20 tournament. Mumbai Indians finishing at the top of points table showed that they deserved to be in the final from the start of the tournament. MI, however, will have a slight advantage over RPS as they have the experience of playing in an IPL final twice in the past – 2010, 2013 and 2015 and going on to win twice in 2013 and 2015. Both the team are likely to play with their previous playing XI and will not like to tickle their winning combination. When it comes to head to head between MI and RPS, they had total fives encounters and RPS had won on four occasions and MI only managed to win once. Mumbai Indians had played total 16 games till now in IPL 2017 and had won 11 of them while Rising Pune Supergiant had played 15 matches and had won 10 of them. In fact RPS won all three matches played against RPS this season and this will surely be in mind of MI. 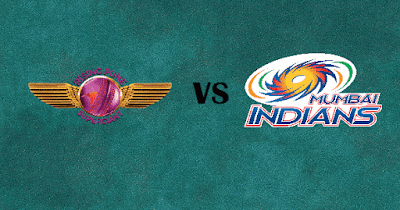 Result: Mumbai Indians won the match by 1 run.